Employee Spotlight Series – Meet Mark! Mark started with OACYS in 2002 as a field wireless tech, installing fixed wireless Internet back when that was a very new technology. He learned quickly and was dependable and had a good attitude. As the company grew positions opened for Customer Relations Manager and later Office Manager, and he was quick to take on the challenge as each position was offered to him. He does a great job of overseeing our customer service staff to ensure any customer concerns are followed through to completion. Mark provides training to new hires, and also produces the sales materials we use for our Internet, Voice and IT services. Mark has a quick wit and calm demeanor that is appreciated by fellow employees as well as OACYS customers. He is a great asset to the OACYS management team, and we look forward to another 16 years with Mark as a part of our team. 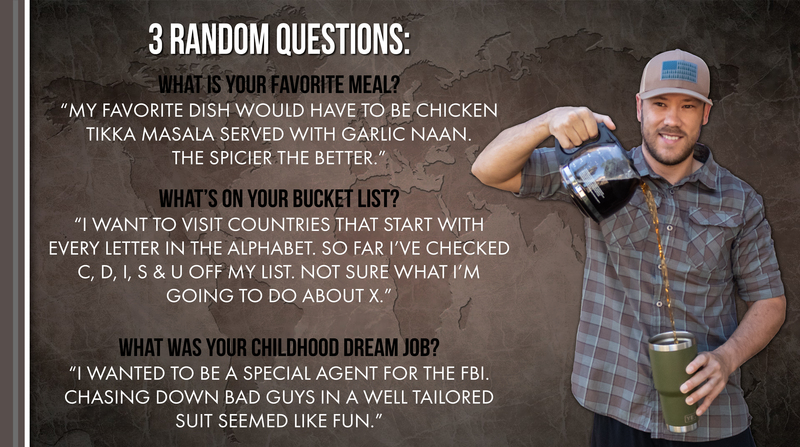 As the office’s self-proclaimed coffee addict, Mark spends the majority of his free time traveling and looking for new places to explore. He enjoys spending time hiking and camping with his son, friends and family. While traveling and hiking, you’ll find a camera in his hand as he really enjoys photography. During the spring time and summer, you’ll also find Mark out on the softball fields playing slow pitch in the men’s and co-ed leagues. ← Employee Spotlight Series – Meet Jose!